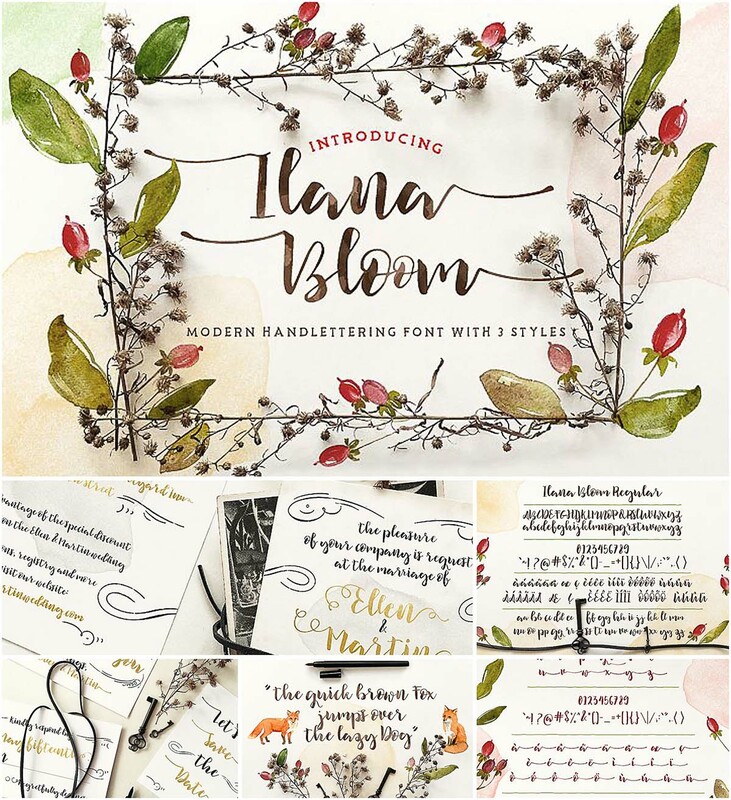 Introducing Ilana Bloom – feminine, modern hand lettering typeface that combines script, swashes and swirl. Perfect for your wedding cards and invites, greeting card title, signature for design work, logo etc. Tags: brush font, calligraphy, handlettering, modern font, swash.